Stunningly beautiful and charismatic Javicia Leslie lights up the screen on her breakout role on "God Friended Me" (Sundays on CBS). 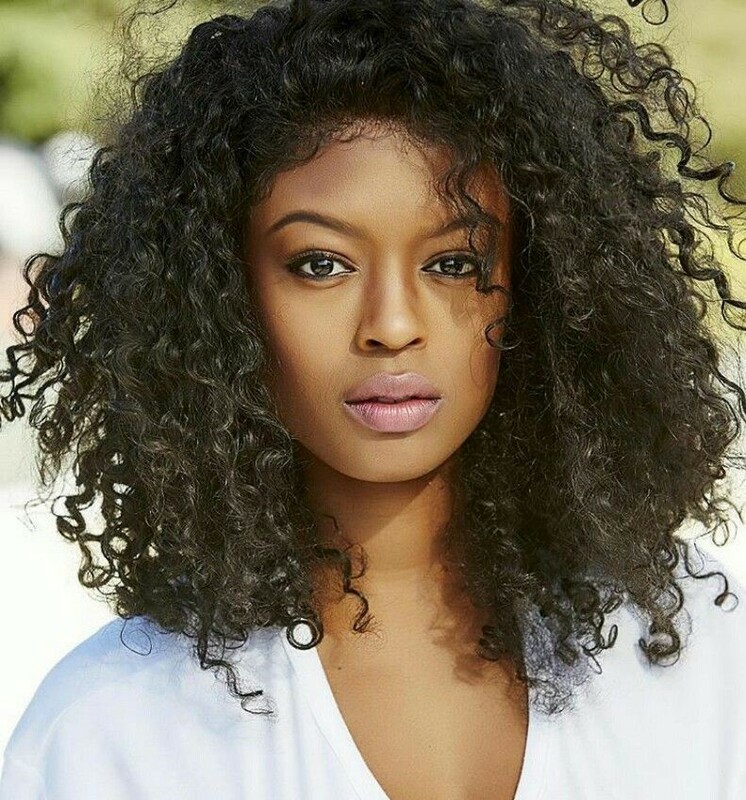 The German-born, beauty is captivating audiences with her first role as series regular alongside Joe Morton and Brandon Micheal Hall. "God Friended Me," is a light, hour-long procedural from "Alcatraz" co-creators Steven Lilien and Bryan Wynbrandt. 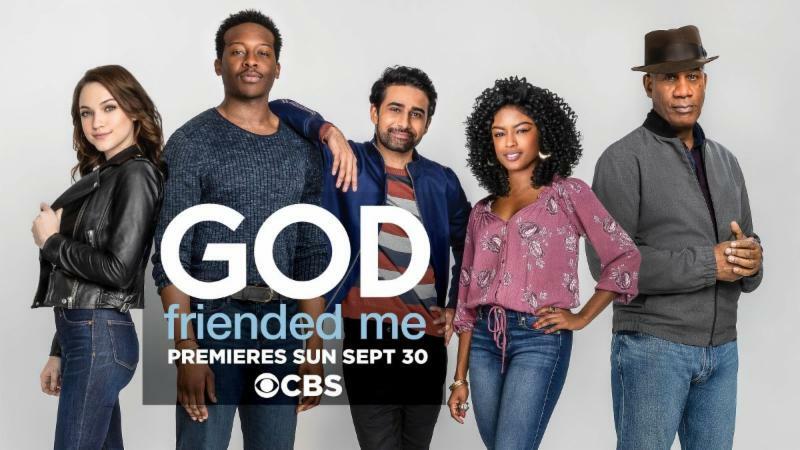 The show is a humorous, uplifting series that explores questions of faith, existence, and science centered on 'Miles Finer' (Brandon Micheal Hall), an outspoken atheist whose life is turned upside down where he is "friended" by God on Facebook. Unwittingly, he becomes an agent for change in the lives and destinies of others around him. Javicia plays Miles' sister, Ali, encouraging and mending the relationship between him and his father, 'Reverend Arthur Finer' (Joe Morton), the reverend of Trinity Church for the past 25 years. The series, one of CBS' hottest new shows is already off to an incredible start, airing Sundays at 8 pm. Born in Augsburg, Germany to military parents, Javicia was primarily raised in Prince Georges County, Maryland. With a passion for performing early on, Javicia started small with talent shows, going on to perform leading roles in plays, and live poems, all while keeping up with an early love for fitness in track. From senior year high school president, she went on to Hampton University. Following school, she took on a job while working in D.C. helping soldiers and their families all while producing her own play and starting to test the waters with hosting. When she landed her first agent, she knew she wanted to pursue acting and the performing arts as a career so she left her job, packed up, and set out to Los Angeles. Without any friends or family and with just a month living in L.A. Javicia was discovered working the booth of a pop-up shop event and catapulted her acting journey. Leslie gained major visibility with the Lifetime Movie KILLER COACH in 2016 which only grew with the TV series "Chef Julian" and her recurring appearances on the CBS "MacGyver" reboot. Up next Javicia will be seen starring alongside Ernie Hudson in THE FAMILY BUSINESS and the hilarious new short currently lighting up festivals nationwide, STUCK. When Javicia isn't working, she splits her time between Los Angeles and New York and combines her passion for fitness and philanthropy to orchestrate events periodically with all funds raised being donated to a local or national charity. Is the show good in your opinion @Judith Davis do you think it will get picked up again? The show is good so far. You should check it out.